Worms, worm, worms! The Washington Youth Garden basement office just won’t be the same without our thousands of slimy friends. 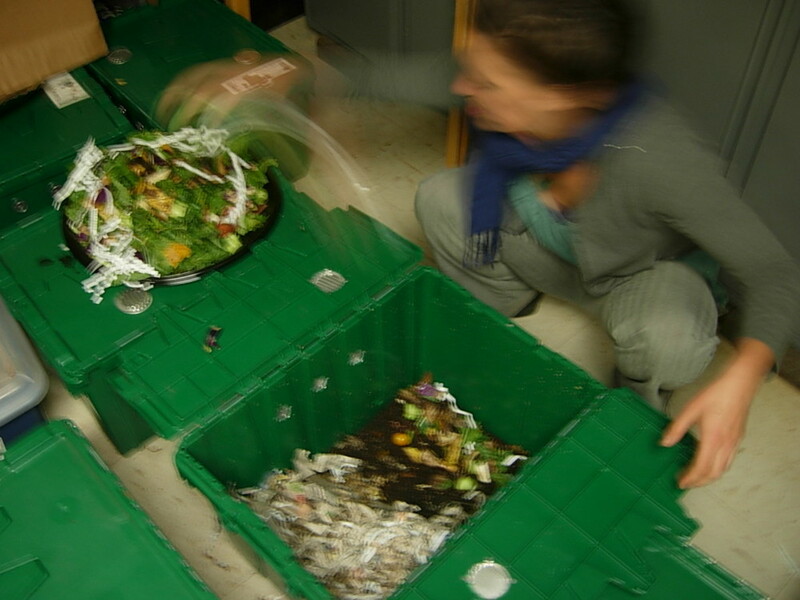 Several weeks ago a shipment arrived in the mail with 7,000 red wiggler worms to jump-start seven new composting worm bins. These efficient decomposers will move to their new homes next week, adopted by third and fourth grade classes in our partnering Garden Science classes. Our budding gardeners have already had a few weeks of classes, brushing up on basic plant science. 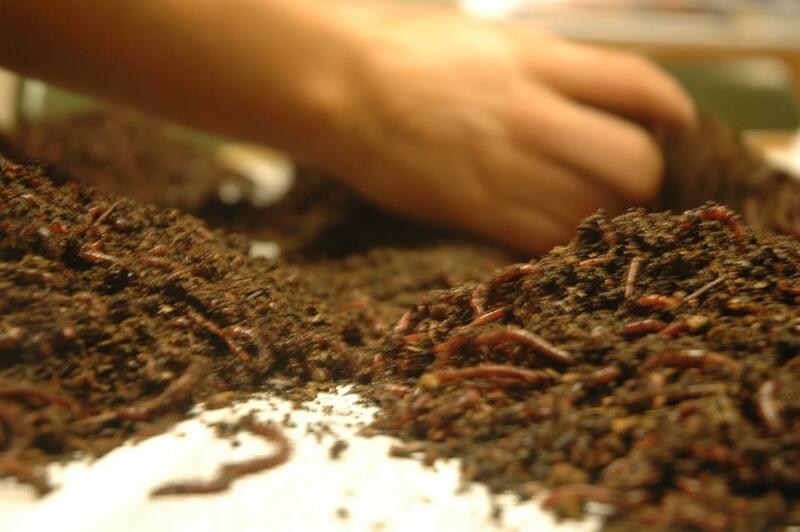 Next week we’ll delve headlong into the importance of nutrient-rich soil and our underground invertebrate allies. Each student will have a chance to make a personal worm acquaintance and learn a bit more about worm anatomy before taking on responsibility for their new worm bin. In the meantime, Washington Youth Garden staff have taken advantage of our last few weeks with our wiggly friends, preparing elegant meals of julienne kale stem and banana peel with a shredded paper garnish. Delicious!